Do we still have a king? There is a curious feature in the Prayer of the Faithful (or, Prayers of the People, as it’s often called in the Episcopal Church) that does not seem to have an exact parallel in American Catholic churches (though I am happy to be corrected, since my experience is limited!). The feature is this: that when praying for the leaders in our own country, we tend to give tremendous airtime to the executive branch. One might suspect that this is the result of some sort of residual effect of its historic relationship to the Church of England. But a look at the history of the texts says otherwise. This is all the more curious because of the rather progressive leanings of the Episcopal Church and many of her members, as well as its emphasis on its dispersed and democratic synodical structures, would lead us to think otherwise. We would imagine that Episcopalians would be praying consciously for as much of the civil authority that would place checks and balances on the president (or at least this one, since Episcopalians are now thought of as “the democratic party at prayer,” though it used to be just the opposite). It was such a big crisis, in fact, that after Donald Trump was elected the Presiding Bishop of the Episcopal Church issued a statement reminding the church of its obligation to pray for civil authorities. Everyone was acting as though they were canonically required to pray for the President by name. But it turns out, neither this prayer book, nor any of its American predecessors, ever required such a thing. But that has not stopped a surge in the prominence that is given to the executive branch in the Sunday intercessions of many Episcopalians. It’s probably easier to say why this tends not to be a feature in Catholic liturgical life. While there are certainly features of the Mass that are left to the discretion of national episcopal conferences, and sometimes to the local bishop, almost nothing of what is required in the Mass is up to the local church (however broadly or narrowly this is conceived). 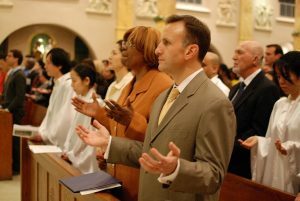 The rite corresponds to the Church’s official name: it is rite for everyone, not just Americans or those living in this country. The suggested forms for the intercessions in the Appendix to the Missale speak in the broadest possible terms about civil leaders, precisely because they should be usable in many contexts. The Church of England, however, is (to state the obvious) an established church. And thus, from the outset of the severing of ties with the Roman see, the English sovereign had an official place in the intercessions of rites for public worship. In the first Book of Common Prayer (BCP) of 1549, after the collect of the day at the opening of the Communion service, two prayers are provided for the sovereign, one of which must be said. These prayers remain through the 1662 BCP, still the official prayer book. 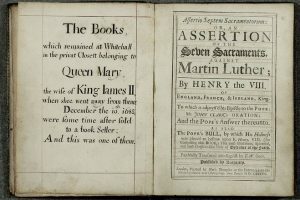 In the Litany, following the petition for the universal church, prayer is made for the sovereign, “our most gracious Queen/King and governor.” In the 1662 book, a section of “Prayers and Thanksgiving” were added, which include a prayer for Parliament, but which also includes prayers for the sovereign (“Most gracious God, we humbly beseech thee, as for this Kingdom in general, so especially for the High Court of Parliament, under our most religious and gracious Queen at this time assembled: That thou wouldest be pleased to direct and prosper all their consultations, to the advancement of thy glory, the good of thy Church, the safety, honour, and welfare of our Sovereign and her Dominions”). 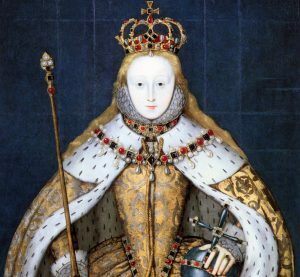 As everyone knows, a central motivation for the War of Independence was freedom from the tyranny of the English sovereign in matters religious and otherwise (the petition in the Litany for deliverance from “the tyranny of the bishop of Rome and all his detestable enormities” was generously removed by Elizabeth I in the 1559 edition of the BCP). 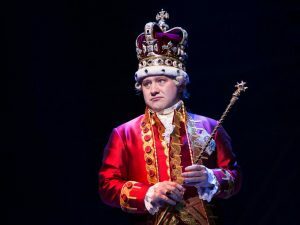 As an aside, I find it hard when I’m teaching about the English reformation not to burst into George III’s amazing song, “You’ll be back” from Hamilton (You say/ The price of my love’s not a price that you’re willing to pay / You cry / In your tea which you hurl in the sea when you see me go by…And when push comes to shove / I will send a fully armed battalion to remind you of my love!). Well…I haven’t done it yet, but it does spring to mind. In 1928, a much more significant revision, three collects are added to the one for Congress in the “Prayers and Thanksgivings” for use at the Offices: one for a State Legislator and another for Courts of Justice and still another For our Country.^ To the Litany is added a new petition that is inserted before the aforementioned prayer for the Christian Rulers and Magistrates: “That it may please thee so to rule the heart of thy servant, The President of the United States, that he may above all things seek thy honour and glory.” The petition for civil authorities in the Communion service remains the same. Further, in this edition, Independence Day is introduced as an observance with a proper collect and a set of lessons (“O Eternal God, through whose mighty power our fathers won their liberties of old; Grant, we beseech thee, that we and all the people of this land may have grace to maintain these liberties in righteousness and peace; through Jesus Christ our Lord. Amen.“). Second, the Intercessions in the Eucharist are changed in another of ways. The first is in the Prayer for the Whole State, which is now printed only in the “Traditional language” rite and edited, but remains similarly broad: “We beseech thee also so to rule the hearts of those who bear the authority of government in this and every land [especially____], that they may be led to wise decisions and right actions for the welfare and peace of the world.” Six forms of the Prayers of the People are provided and only one of them mentions any of the three branches of government: Form 1 prays “For our President, for the leaders of the nations, and for all in authority, let us pray to the Lord.” The rest are quite broad: “for goodwill among nations; and for the well-being of all people” (Form 2); “for all who govern and hold authority in the nations of the world;That there may be justice and peace on the earth (Form 3); “Guide the people of this land, and of all the nations, in the ways of justice and peace; that we may honor one another and serve the common good” (Form 4); “For those in positions of public trust [especially_____], that they may serve justice, and promote the dignity and freedom of every person” (Form 5); and “For this community, the nation, and the world; For all who work for justice, freedom, and peace (Form 6). Third, the collect for Independence Day becomes strangely more nationalistic than the 1928 version: “Lord God Almighty, in whose Name the founders of this country won liberty for themselves and for us, and lit the torch of freedom for nations then unborn: Grant that we and all the people of this land may have grace to maintain our liberties in righteousness and peace; through Jesus Christ our Lord, who lives and reigns with you and the Holy Spirit, one God, for ever and ever. Amen.” That’s some pretty strong American exceptionalism. The Prayers and Thanksgiving section is moved to the end of the BCP and are no longer connected formally with the Offices. A much wider range of prayers are included, including a whole section dedicated to National Life. The new prayer For Our Country that was added in 1928 is listed first. This followed by a new petition “For the President of the United States and all in Civil Authority” (see below). The collect for Congress disappears entirely. In its place is the former prayer for a State Legislature, which is now for both Congress or a State Legislature. The collect for the Courts remains the name. In addition, there are a number of new prayers: a litany For Sound Government; a collect For Local Government; a collect For an Election; a collect For those in the Armed Forces of our Country (replacing two older collects, For the Army and For the Navy), a final collect For those who suffer for the sake of Conscience (presumably conscientious objectors). One other interesting addition is also noteworthy: in the Solemn Collects for Good Friday (a feature never before included in an English or American BCP), the petitions for civil authorities are as follows: “For N., the President of the United States / For the Congress and the Supreme Court / For the Members and Representatives of the United Nations / For all who serve the common good.” It is a bit odd that only the Supreme Court is mentioned, but none of the rest of the judiciary. These changes push in a certain direction. First, the place of congress diminishes somewhat. No longer is it the first collect in the Prayers and Thanksgivings, its rather grand collect is deleted and combined with that of a State Legislature. Second, now in the place of prominence is the president. Not only is the collect for the president listed first, but a new petition is introduced into the Litany before the one that prays for the legislature and the judiciary. 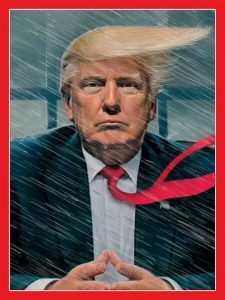 This no doubt reflects the broader elevation of the presidency described in detail in two recent articles in The Atlantic: one by John Dickerson, and another by Jeremi Suri. This direction is often furthered in local congregations with additional petitions added to the forms given in the BCP (which the rubrics allow). Particularly in Forms 2-6, which don’t mention the President at all, I have found it almost ubiquitous for the additions to go something like this: “For N. our President, N. our governor, and N. our major, and for all in civil authority.” Outside of places like Washington, D.C., I hardly ever hear prayers for the judiciary. Sometimes Congress gets a shout out, or at least the senator and House member that represents the area in which the church sits. And this is strange, given the importance that the form of democracy in the United States had for the structure of the Episcopal Church at its founding. It rejected any monarchial episcopacy (i.e. no archbishop or metropolitan) and had only a Presiding Bishop, which was for the longest time simply the most senior bishop. It also created a bicameral legislature, where the House of Bishops as the analogous body to the Senate, and the House of Deputies to the House of Representatives. The structure was modeled consciously on the American federalist structure, and this is not surprising. Many of founding fathers were Anglicans (if of a Latitudinarian stripe) and even Samuel Seabury, the first bishop in the Episcopal Church, has a small role in Hamilton as a prominent member of the Loyalists. And yet, the executive branch seems to the one for which prayers are most often given in the realm of civil authority, and often by name. 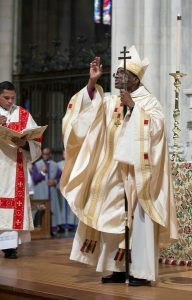 A similar article could be written that shows an analogous rise in the prominence of the Presiding Bishop. Only in the 1979 BCP was there liturgical suggestion given to pray for the Presiding Bishop by name in a way that is analogous to how the episcopacy is often mentioned in petition in the Roman Rite: “For Francis our Pope and Jack our Bishop.” In fact, the power of the Presiding Bishop has grown considerably, both canonically and also i ways such as having an archiepiscopal cross being carried in front of him in procession. 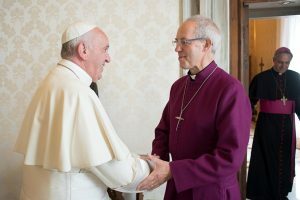 Along with naming the Presiding Bishop, in subsequent decades there has also been a rise in praying for the Archbishop of Canterbury by name (despite the fact that he has no jurisdiction or canonical authority in any place in the Anglican Communion except the Church of England). A Catholic friend worshiping with me one time asked in all seriousness if the Archbishop was taking on a more papal role for Anglicans, given the way we prayed for him. 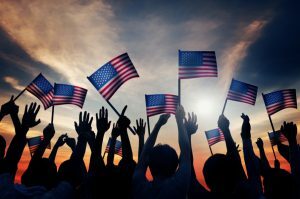 This tension between the elevated role for the executive and the importance of democratic systems is not limited to when we pray. It has become a feature that marks a great deal of our civil dialogue. The “traditional” Catholic angle on this appears that, until the recent “recovery” of the universal prayer/general intercessions/prayers of the faithful in the reformed Catholic liturgy, there wasn’t an iterative set of intercessions for the Mass (putting the daily office to the side here…) other than during the Paschal Triduum. And, for those exceptional situations, as a technical matter, it seems the only general intercession was for the Emperor. You know, that one with the big crown in Vienna, even when he (and it was only a he) was just King of the Romans and Emperor-elect for failure to be crowned by the Pope…. Oremus et pro Christianissimo imperatore nostro [Nomen] ut Deus et Dominus noster subditas illi faciat omnes barbaras nationes ad nostram perpetuam pacem. Omnipotens sempiterne Deus, in cujus manu sunt omnium potestates, et omnium jura regnorum: respice ad Romanum benignus imperium; ut gentes, quae in sua feritate confidunt, potentiae tuae dexterae comprimantur. Per Dominum… R: Amen. [Let us pray also for the most Christian Emperor [Name] that the Lord God may reduce to his obedience all barbarous nations for our perpetual peace. Don’t ask me about customs in France, Spain, Portugal, and Poland-Lithuania. Even prior to the reforms of Holy Week from 1950 onwards, practice with regard the the prayer for the Emperor must have varied. I have a German edition of the Officium Hebdomadae Sanctae published in 1936, which includes the prayers you mention: a French edition published in 1945 which omits not only these prayers, but any prayers for those in authority; and a UK edition published in 1950 which has the hilarious rubric “the prayer for the Emperor may be omitted, the Holy Roman Empire being vacant”! Certain Integralists appear to fancy a remedy for the vacancy. The Reformed Anglicans have a rather creative approach for the state Prayers at Mattins and Evensong. (I’m not sure what they do for The Holy Eucharist.) They have created a section titled the Erastian Prayers in which parallel columns list the Prayers from the 1662 and 1928 BCPs for rulers. This section seems to have been created as a matter of convenience. Those who wish to use the state prayers may do so while others may skip them, ad libitum, as it were.